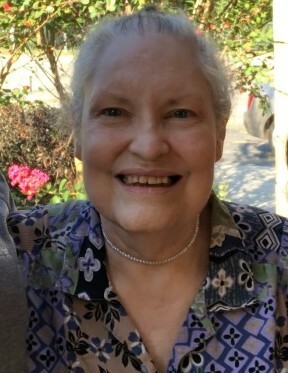 Mary Alyn Aldridge Fulghum, 66, of Pascagoula, Mississippi, passed away November 23, 2018, surrounded by family and friends. She was born August 8, 1952, in Natchez, Mississippi, the daughter of Beverly Aldridge and the late Byron David Aldridge. She was the oldest of 3 siblings. Alyn graduated from Natchez High School. She earned degrees from the University of Southern Mississippi and Faulkner State Community College. She worked as a lab technician and environmental specialist at Chevron USA for 17 years. Alyn loved playing guitar and painting. She was an avid gardener who took great pride in her rose collection. She was always smiling, even through her illness. She was dearly loved and will be greatly missed. She is survived by her daughter and son-in-law, Phoebe and Jake Carlson of South Thomaston, Maine; son and daughter-in-law, Charles and Katy Fulghum of Vancleave, Miss. ; grandchildren, Isaiah Green and Audrey Carlson; mother Beverly Aldridge of Natchez, Miss. ; brother and sister-in-law Courtney and Terri Aldridge of Panama City Beach, Fl. ; brother and sister-in-law Byron and Cindy Aldridge of Natchez, Miss. ; aunt Mary Jo Gunde of Natchez, Miss. ; and eleven nieces and nephews. She was preceded in death by her father, Byron David Aldridge; her aunt Jocelyn Barlow; and uncle, Ralph Gunde.